​Malmberg has again been entrusted by NGF Nature Energy in Denmark to deliver a biogas upgrading plant, model larger, to Videbaek in Denmark. 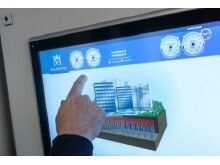 It will be the fifth Malmberg plant for NGF. ​Wessex Water renewable energy company GENeco is investing in a new biogas upgrading plant from Malmberg. The plant will be installed at Trowbridge wastewater recycling centre, which is situated in south England 160km west of London. ​Skellefteå city in Sweden is focusing on more biogas from Malmberg! Limfjorden Bioenergi Aps takes a step further and increases their biogas production at site Mors and invests in a Malmberg COMPACT® GR 20 upgrading unit. The unit will treat 2000 Nm3 raw biogas per hour and is planned to be in operation during the spring of 2019. Denmark reduces their dependence on natural gas in the gas grid by replacing natural gas with the fossil free biomethane. It is economically attractive to invest in biogas upgrading and ambitions are high. 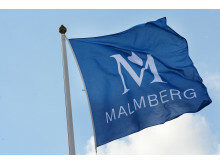 Malmberg are experts in biogas upgrading and up to date there are 10 Malmberg upgrading plants in operation on the Danish market. Malmberg will build a new facility for biogas upgrading to Skellefteå municipality in Sweden. In addition to a Malmberg Compact GR 6 upgrade facility the contract include gas holder, high pressure compressors and decompressors. The plant will be put into operation until summer 2018. Malmberg Biogas upgrading no. 5 in Norway! 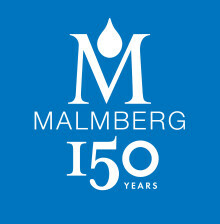 Erik Malmberg new CEO of Malmberg Water AB. ​The Estonian industry is reacting to the government’s targets to increase the usage and production of renewable fuels. Malmberg have been given the opportunity to supply the first biogas upgrading plant in the Baltic states. Malmberg Biogas upgrading plant no 42 in Germany! 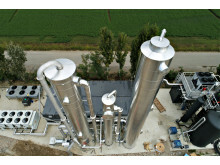 Malmberg has won its first biogas upgrade project in Italy. To the customer HERAmbiente S.p.A, which today has an existing composting plant in Sant Agata (BO), will be supplemented with treatment and digestion of 135,000 tonnes of food waste per year. 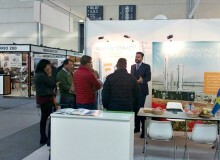 Biomethane will be produced using Malmberg Compact® GR 20R. The Magic Factory is now open! Malmberg Biogas has won its fifth biogas upgrade project in Norway. Now to Ecogas, a daughter company to Ecopro. The biogas plant is situated in Verdal, about 80 km north of Trondheim. 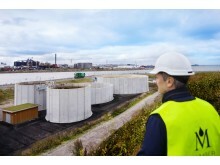 New contract for biogas upgrading plant in Norway! ​Malmberg biogas upgrading is magical. That´s what they say in Norway today. The Magic Factory (Den Magiske Fabrikken) outside Tønsberg in Norway has now been officially inaugurated. 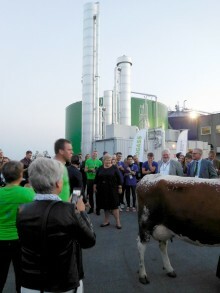 Norwegian Prime Minister Erna Solberg was in place and Malmberg COMPACT® biogas upgrading plant does the job. Congratulations, Minister of the Environment , Karolina! As a Åhus company and also as a cleantech company, it is fantastic that our new Minister of the Environment, Karolina Skog is from Åhus and has also been a classmate to Sara Malmberg. ​The cleantech company Malmberg has received one of its largest orders ever. It is one of the major customers in England who ordered four Malmberg COMPACT® biogas upgrading plants. The entire order is worth approximately SEK 125 million SEK. The cleantech company Malmberg largest company Malmberg Water AB appoints new CEO. Current CEO John Möllerström leaves and a change of leadership and role as CEO goes to Erik Malmberg.